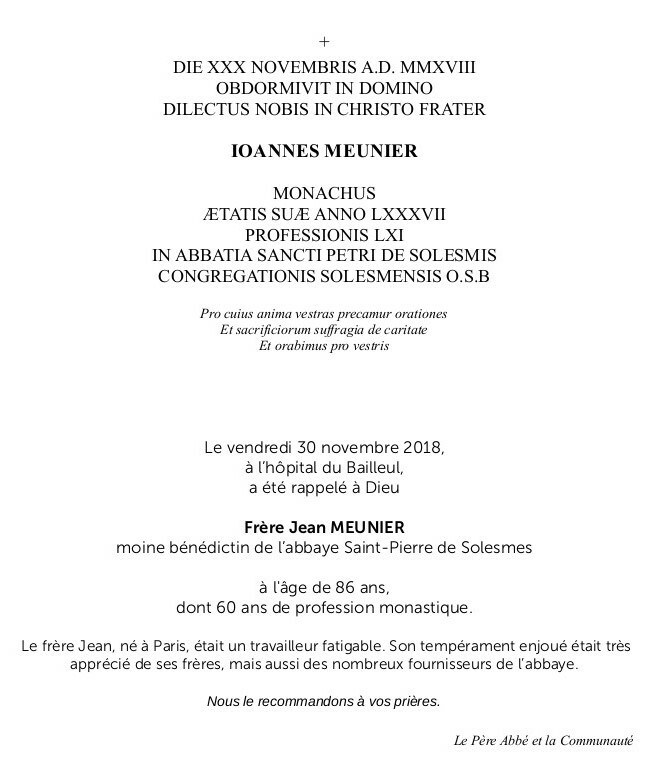 On Friday, 30 November 2018, at the hospital of Bailleul, our Lord called home his servant Frère Jean Meunier OSB, Benedictine monk of Abbaye Saint-Pierre de Solesmes, France. 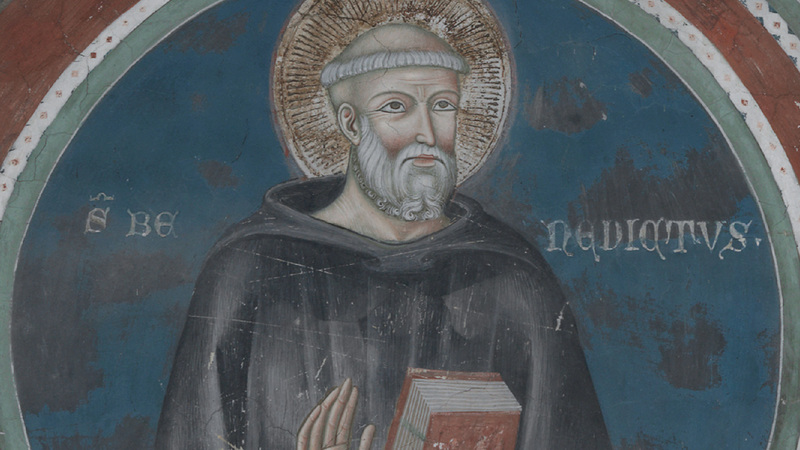 At the time of his death, he was 86 years and was a professed monk for 60 years. 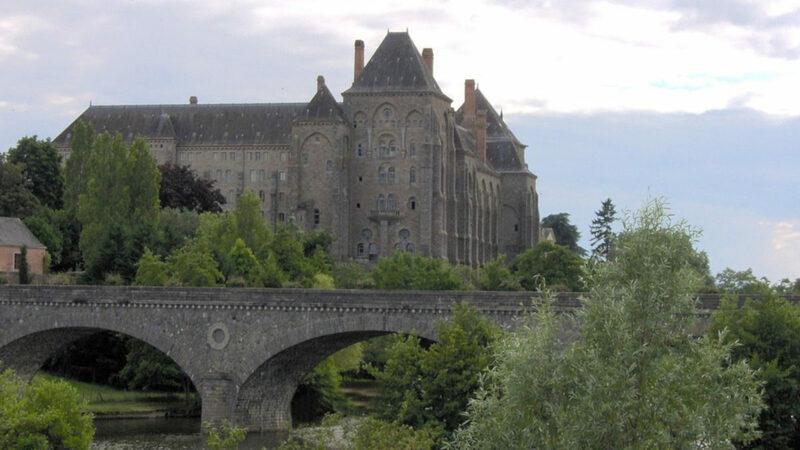 Frère Jean was born in Paris and worked with devotion among his confrères with a temperament that both they and the Abbey’s suppliers appreciated very much. 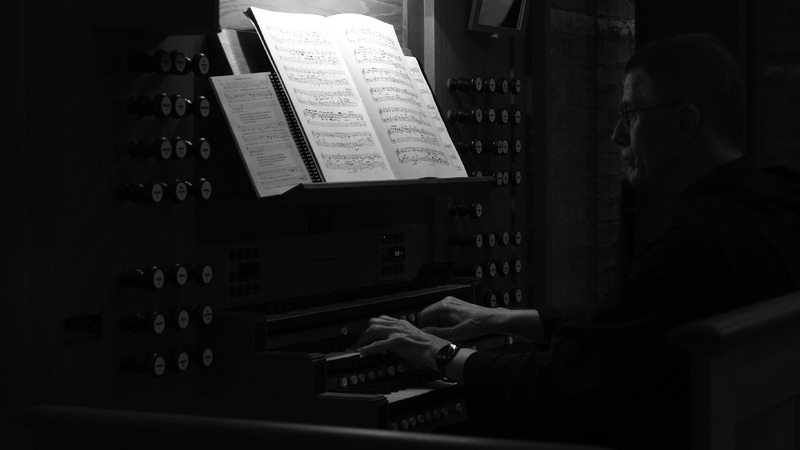 We commend Frère Jean Meunier OSB to the prayers of the Benedictine Confederation.